Is a bathroom remodel in your future? Bathrooms are one area of the house that seem to wear out faster than other areas of the house because of constant use. 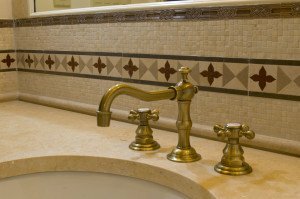 For this reason, bathrooms are often one of the first areas of the house to be remodeled. A bathroom remodel is not something you should tackle on your own unless you have experience in this area. A major renovation such as a bathroom requires the help of an experienced builder. You are more likely to get the results you desire if you hire a professional. You can rest assured that the remodel will turn out as you hoped if you work with a contractor that listens to your specifications and can make them a reality. The value of your home will increase if you use a professional to complete your remodeling project. Even if you are not thinking about selling your home in the immediate future, an upgrade in your bathroom will increase the home value when the time comes to sell. You have other things to do with your time, such as a steady job and raising a family, and a remodel project can drag on for months. Hiring a professional who has experience with bathroom remodels can cut the time to finish the project and get you into a new bathroom faster. Even if you have experience in home renovations, hiring a professional can save you time and money. A company that works in home renovations every day has the expertise to provide you with suggestions to save time, discounts on materials and suggestions on how to better complete the project. Working with a remodeling contractor gives you access to resources, supplies and tools that are needed for your bathroom remodel. They are connected with the best plumbers, electricians and other professionals that may be needed to complete the job. Trying to hire these professionals on your own takes time and could lead to wasted resources. Remodeling your bathroom is not an easy task. You could do it on your own if it is a minor renovation. However, if you are planning a major upgrade to the entire bathroom then you should seek the assistance of a professional. Call Home Remodel Experts today to schedule a time to discuss your specific bathroom remodel dreams.